Why spend time working in the yard when you can play all day? 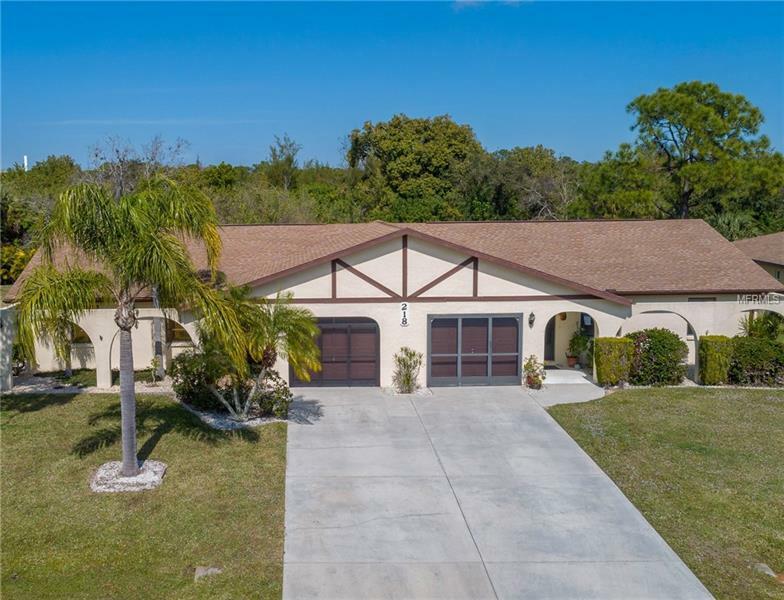 Resort living at its best, this Maintenance Free Villa is centrally located, yet tucked away in a delightful community reminiscent of Old Florida Charm. The tropical landscaping, attractive exterior accents, and arched covered entrance are just the beginning. Inside, the tiled and wood laminate flooring, designer wall colors, and upgraded lighting fixtures and ceiling fans add a touch of elegance to this home. Both bedrooms feature spacious walk-in closets, and both bathrooms have been beautifully re-done. Vaulted ceilings add volume to the home, and the open and split floor plan provides maximum utilization of space. The sliding glass doors in the Dining Room open to your Florida Room where you will enjoy your large private backyard, rain or shine while you have your morning coffee and plan your day. Less than 5 minutes from pristine Englewood Beaches, Boat Ramps, Shopping, Restaurants, and Historic Dearborn Street where you can attend art festivals, the Farmers Market, and concerts, there is always something to do. Or spend the day relaxing by the Heated Community Pool with your neighbors. High Point residents love the fact that they do not worry about the roof, painting the exterior, building insurance, or yard work because those items are included in the modest HOA fees. The 2018 HVAC is icing on the cake. Purchase the optional attractive furnishings, park your car in your private screened garage, hang your clothes, and Live Life Now!